Reducing emissions from deforestation and forest degradation (REDD) is often referred to as a promising approach to reduce carbon emissions. Recent studies suggest that tropical forest degradation and deforestation contribute to around 15% of total carbon emissions (Venter and Koh 2012). This is a significant share of total emissions and could hold an opportunity towards reaching emission reduction targets. According to Eliasch (2008), forest based emissions could be cut by 75% by 2030 through including REDD+ in carbon markets. These estimates led to the conclusion that REDD+ could be one of the most cost-effective ways of mitigation. However, the REDD+ scheme is still in its learning-by-doing phase, and faces criticism about its effectiveness to reduce deforestation rates (and therefore emissions). It seems to be too early to sufficiently review the, long-term, outcomes of current REDD+ initiatives. This article will critically investigate whether or not REDD+ can be regarded as ‘the right approach’ to reduce deforestation in tropical forest countries. ‘The right approach’ is understood as an approach that distributes the benefits of REDD+ interventions equally for most stakeholders and enables sustainable reduction in deforestation and degradation. The analysis will give an overview of both the criticisms and positive aspects of REDD+. Whenever possible, evidence from running programs will be given to support the argumentation. …an effort to create a financial value for the carbon stored in forests, offering incentives for developing countries to reduce emissions from forested lands and invest in low-carbon paths to sustainable development. “REDD+” goes beyond deforestation and forest degradation, and includes the role of conservation, sustainable management of forests and enhancement of forest carbon stocks. A forest can be defined as ”a minimum area of land of 0.05-1.0 hectares with tree crown cover (or equivalent stocking level) of more than 10-30 per cent with trees with the potential to reach a minimum height of 2-5 metres…” (UNFCCC 2002). This definition can cause significant problems to an ecological successful application of a REDD+ scheme, as further described later in this essay. Therefore the definition of tropical forest is understood here as “forest [that is] predominantly composed of trees established through natural regeneration” (FAO 2010: 211) and is located in the tropics between the latitude 23°26ʹ north and south of the equator. What is positive about REDD+? REDD+ has received positive global recognition and support (Venter and Koh 2012, Aurora 2011) – all country position papers, written after the Conference of the Parties (COP) 18, in perspective for the COP 19 REDD+ negotiations support the scheme in some ways (UNFCCC 2013). The concept of adding a market value to forest preservation creates new incentives for tropical countries in terms of forest usage and appears to be a promising scheme to protect tropical forests. Some scholars and institutions argue that REDD+ will need more financial support to fully achieve its potential. One discussed way of ensuring this could be through incorporating it into the Clean Development Mechanism (CDM), but despite lobbying proponents such as the world bank, it is unclear whether or not REDD+ will be recognized as a legitimate CDM activity (Venter and Koh 2012). Nonetheless, REDD+ has triggered remarkable developments: “the international community has a renewed focus on the importance of conservation and restoration of forest ecosystems, multilateral institutions dedicated to make countries ready for REDDplus have been established, and private and public actors alike have started many local initiatives and projects” (Pistorius 2012: 643). Furthermore, the scheme provided a framework for already existent anti-deforestation and degradation projects, and helped building up strong multilevel and stakeholder networks. However, the effectiveness of current REDD+ interventions have been criticised and it will be necessary to find solutions to solve problems in order to fully use the positive capacity of REDD+ to reduce deforestation and forest degradation in the tropics. What aspects of REDD+ can be criticized? The following part of this essay will explore some of the criticisms of REDD+s’ efficiency: (i) uncertainty of forest definition, and about monitoring, reporting, and verification (MRV); (ii) equality issues, and cultural and social barriers; (iii) leakage effects; and (iv) sustainability of REDD+ agreements in an environment without changing drivers of deforestation. There is no globally accepted and applied definition of forest or sustainable forest management (Global Environment Facility 2013). The UNFCCC definition of forest includes a crown cover between 10-30%. Based on this definition countries could degrade forests down to 30% crown cover and a minimum height of two meters, without causing deforestation (Sasaki and Putz 2009). REDD+ initiative sites should qualify as forest for a minimum of 10 years and may include mature forests, secondary forests, and degraded forests (Brennan and Durschinger 2013). These definitions leave loop-holes enabling significant forest degradation. It will be important to improve the definition and standardize degradation limits throughout all REDD+ interventions. Sasaki and Putz (2009) suggest that an improved definition should contain 40% crown cover and a minimum tree height of five meters. Furthermore, MRV of REDD+ project sites are significant to control the impact of interventions and provide reliable data to verify REDD+ as a whole (Herold and Skutsch 2011, Palmer Fry 2011, REDD-net Programme 2010). The current MRV debated, among the stakeholders, goes beyond monitoring the emission reduction and deforestation/degradation rates; it includes the social impacts of interventions. There are many aspects that need to be agreed on, including (UNFCCC 2013): (i) which institutions are appropriate for MRV estimates; (ii) what environmental, social, and development issues should be included; and (iii) which are the right indicators and frameworks for measuring these impacts. Apart from this more technical criticism, equality issues, and cultural and social barriers can be hindering factors of REDD+s’ efficiency in protecting forests. Hall (2012: xiii) says that “Policy makers and planners are making assumptions about the willingness of forest user groups to adopt REDD+ on the basis of a market-based economic rationale that does not necessarily fit with social reality”. Most tropical countries are ranked as having a medium-low human development with a range of internal problems (UNDP 2013). Some countries are facing high level of corruption, economic instability, social polarization, ethnical conflicts, and differ in the extent of state/community/private control over forest resources. All of these influential factors are based on a variety of established cultures often in contrast to the western market-based economy. Some of these factors can be exemplified with tenure rights. Sunderlin et al. (2013: 1) investigated “19 REDD+ project sites and 71 villages in Brazil, Cameroon, Tanzania, Indonesia, and Vietnam” to assess how tenure rights were addressed through the REDD+ scheme. The study revealed that in 55% of the investigated villages respondents reported tenure insecurity over, at least a portion, of their lands and even if the majority of the respondents (93%) believed that they have the right of decision about their forest land, only in 38% of cases was permission granted by the villages or households for forest usage (including REDD+ projects) (Sunderlin et al. 2013: 5). In all other cases external use (e.g. by neighboring villages, logging companies, agro industrial firms) were either illegal, authorized by the government or did not need a permission. Indonesia and Vietnam seem to be most problematic, “national agencies are showing insufficient initiative to address community-level forest tenure issues” (Sunderlin et al. 2013: 13). In Indonesia it could be due to the fact that land with unclear tenure rights legally belongs to the authority of the Ministry of Forestry (Safitri 2010). Although Pak Kuntoro Mangkusubroto, head of the Indonesian President’s Special Delivery Unit, declared at a conference in Lombok in 2012 that the legal rights situation for people living from the forest will be improved, not much have changed yet (Rights and Resources Initiative 2012). The examples show that the general tenure rights situation of forest areas generates a big challenge, as in many cases companies, large farms or governments claim the tenure rights or even illegally use forest areas, and marginalised people being neglected. In some cases these people strongly depend on the forest and logging to make a living. This dependency can lead to continued regional forest degradation or deforestation and migration into areas not protected by REDD+. The latter is known as the leakage effects and can also be driven by more influential stakeholders (Thompson et al. 2011). The effect of leakage in REDD+ interventions has been widely criticised. Leakage can be defined as “the decrease or increase in GHG benefits outside of an intervention boundary that is either directly or indirectly attributable to the intervention implemented within those boundaries” (Atmadja and Verchot 2012: 313). Leakage could reduce or even reverse the positive outcomes of interventions and, therefore, undermine the effectiveness of REDD+. In their literature review Atmandja and Verchot (2012) state that there is limited literature on the leakage effects of forest interventions. However, they present three studies that can serve as examples: (i) Sun and Sohngen (2009) assessed that for every saved ton (t) of carbon, another 0.47-0.52 t are released in other parts of the world; (ii) Gan and McCarl (2007) modelled leakage rates in different countries (based on the variables timber demand, prices, and the degree of cooperation in forest conservation) and estimated country leakage rates ranging from 42-95%; (iii) Meyfroidt and Lambin (2009) investigated the effect of Vietnam’s logging ban and discovered that the policy only caused 36% of all regional displacements of logging, the rest (64%) were caused by demand for wood products. These case studies lead to the conclusion that it will be necessary to implement holistic forest management and conservation plans that cover all forest areas of a country. Otherwise the risk of simply displacing the deforested areas is significantly high. The limited sustainability of REDD+ interventions triggered further criticism. There is not yet a long-term financial structure for REDD+ interventions and existent projects run on a voluntary basis, which could lead to a lack of financial support (Phelps et al. 2011). However, the involvement of the private sector through emission trading (as is currently happening on a voluntary basis or maybe a future integration into CDM) seems to be promising (Brennan and Durschinger 2013). Furthermore, the average time horizon of REDD+ projects is approximately 20 years (Phelps et al. 2011). After this period of time the countries could theoretically restart logging in the protected areas. The problem of released emissions from deforestation would only be procrastinated. This theoretical chain of events is not unlikely if drivers of deforestation are taken into account. The main drivers are (Eliasch 2008): (i) increasing demand for timber and forestry products; (ii) lack of clear and secure tenure rights – incentives for short time profits; (iii) increasing demand for agricultural products and space for living – caused by population growth; (iv) global policy incentives, e.g. for biofuels. Particularly the latter is problematic as it includes that converted forest land can financially be more beneficial than protecting the forest via a REDD+ scheme. Additionally, there are limited restrictions to what the REDD+ money shall be used for. Guyana, for example, intents to build a 165 megawatts hydroelectric dam from parts of funding received from Norway. The reality of this plan would lead to an estimated 4,500 hectares forest loss (Aurora 2011). In conclusion it can be said that REDD+ has a great potential to reduce carbon emissions in tropical forests. However, there are reasonable criticisms of the effectiveness, the sustainability, and equality issues of current REDD+ interventions. These limitations and loop-holes for destructive practices need to be addressed. Therefore, it cannot, at this stage, be said that REDD+ is the right approach or best approach to reduce tropical deforestation, but it is a promising one, and it is worth further elaboration. Hess, J. S., 2014. Is REDD+ the right approach to reducing deforestation in tropical forest countries? [Online]. https://climate-exchange.org/2014/02/02/is-redd-the-right-approach-to-reducing-deforestation-in-tropical-forest-countries-3 Available at: [accessed + date when the website was accessed]. 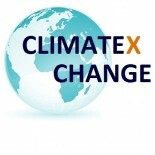 This entry was posted on February 2, 2014 by Janto S. Hess in Climate Change Finance, Climate Change Mitigation, Posts / Themes and tagged Climate Change Finance, Climate Change Mitigation, REDD+.